Old photographs and albums are among my favorite things in the world. They like stepping into a time capsule and being whisked back into another era. If you really spend time looking at them, there are so many wonderful discoveries to be made — seeing people or cultures at a different time in their lives and being able to explore their choice of fashion, transportation and other things they’ve surrounded themselves with. You can learn an enormous amount through clues in details, gestures, relationships, buildings and fashion — just to name a few. And if the people and places in those photographs have helped form the person you are or if those people and places particularly meaningful to you, there is an added benefit. Photographs can be a treasure trove of information to learn from and revisit over a lifetime. Each layer of new information gives them new life and meaning. They can also be wonderful conversation starters. Photographs can give rise to stories you couldn’t have even imagined as you learn from an older person what life was like during an earlier time. You can also watch the eyes of a younger person see these photographs in a new light. Beyond all the practical benefits of photos are the intangible ones — the magical way they can touch and move you, and others around you, in ways you couldn’t believe without experiencing them. That’s why when disaster hits, photographs are the possessions that people are the most upset about losing. In this section, we are happy to share some deeply personal stories about the value of photographs and ensuring their legacy. We recommend that you embark on your own journey like the ones so meaningfully experienced by those who shared their stories. Camille reminds us that it’s important to document people while you still can. Decisions need to be made how to responsibly and sensitively use that information. Through this experience, Maggie Steber shares a very personal story of transforming what had been a difficult relationship with her mother into an inspiring legacy. Looking with her at their old photographs, Steber utilized photography as a tool for intimate communication. Steber made compelling series of pictures of her mother near the end of her life, really getting to know her in the process. It’s possible to heal and develop a more intimate relationship through the process of documenting a loved one during difficult times. 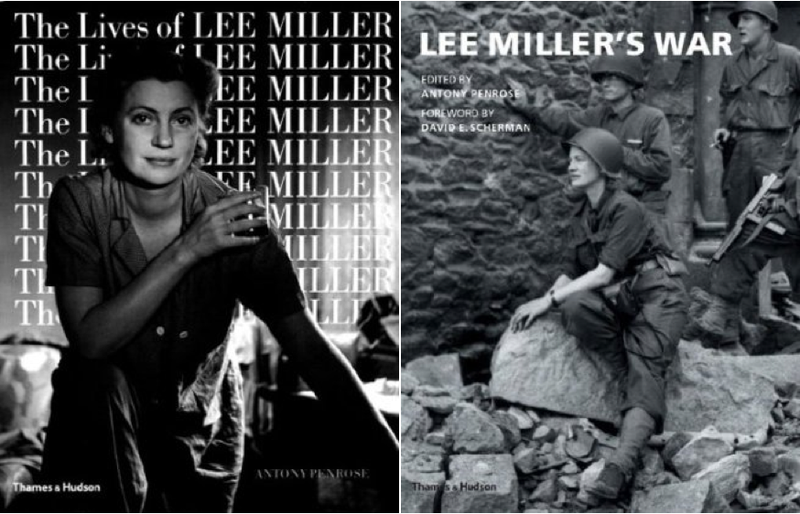 Book covers of Lee Miller's work - "The Lives of Lee Miller" and "Lee Miller's War"
To say that Lee Miller had a complicated career may be an understatement. She began a modeling career in New York, then moved to Paris to work with surrealist Man Ray before starting her own photography studio. She began by taking street photos and portraits, but later she became at war correspondent in World War II. After the war, she continued to photograph for Vogue, who had published her war images. Antony Penrose tells a deeply personal story of childhood only knowing his mother as a depressed alcoholic. After her passing, he discovered the vibrant, interesting and respected mother he never knew existed. Discovering her photographic archives, writings and ephemera transformed his life. Going through the photographs and ephemera of someone who has passed on can be a way to reframe your views, feel closer, and learn a lot more about the person. You can then also share this knowledge and wisdom with others. In his case he created an archive whose photos and stories have been shared in books and exhibited in the world’s most important museums. San Francisco Museum of Modern Art Curator Sandy Phillips tells the story of legendary New York Museum of Modern Art John Szarkowski’s complete misinterpretation of a Dorthea Lange photograph. It reveals the importance of not jumping to conclusions until you learn the context behind the photograph. It’s important to remain non-judgmental and to not jump to conclusions, on images before learning the context and backstory. It’s not only practical but also often interesting. Unintended consequences can be damaging and hurtful. Francesco Turio Böhm oversees the Naya-Böhm Archive, a large photographic collection in Venice, Italy. It's the combined catalog of Carlo Naya, a renowned photographer from the late 19th century, and Francesco's grandfather Osvaldo Böhm, another prolific Venetian photographer and publisher. For decades, Naya made a successful business of shooting and selling his Veduta di Venezia, a View of Venice, to tourists looking to take a piece of the watery Italian city back home. After acquiring Naya's images in 1920, Osvaldo Böhm greatly expanded the archive to include photo reproductions of many great works of Venetian art. Today, the 25,000 images in Naya-Böhm Archive still stand as an important resource and record of the art and architecture of Venice. 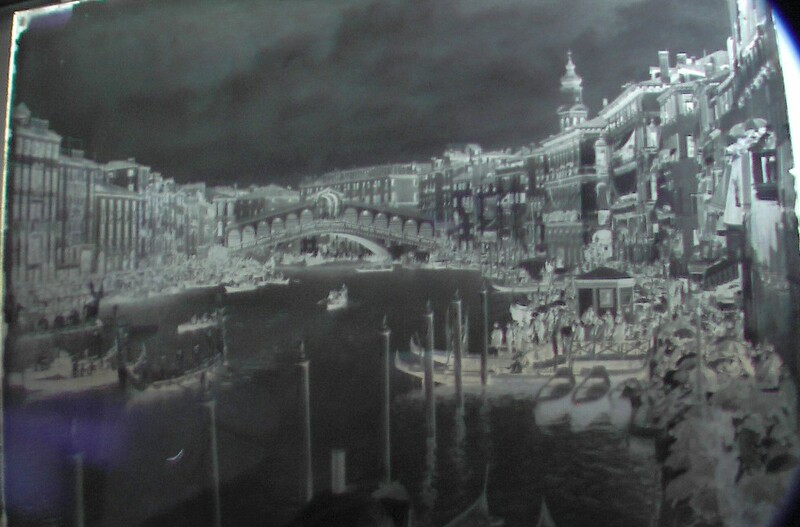 To that end, Francesco Turio Böhm still maintains and utilizes the old glass plates for reproductions of the photos. In these audio clips, he speaks to their current importance and uses. There are probably photos of almost every community in one form or another. It may be in the hands of a member of that community, a hobbyist, a historical society, a newspaper, or a photo collector that can illustrate the history of that community. It’s a powerful way to learn more about the community both the knowledge and as conversation starters. Some of these, especially newspapers and personal collections, are at risk and are worth finding a way to save and utilize them. They can be a valuable resource for history, architecture, fashion, cultural studies and aesthetics. If you scratch the surface, the wealth of knowledge that such photos provide can open up a whole new, compelling world. Curator Roy Flukinger from the Harry Ransom Center tells an interesting little story about the work of curators and his favorite older photo of bathing beauties with a range of different types of umbrellas. It’s one of the most popular photos from the vast Ransom Center’s archives. He tells of different perspectives of why people like it. This is a terrific example how people see photographs differently based on varying interests and perspectives. It’s an important lesson as well as an interesting and telling conservation starter to ask different people what they see in an image. Among the images in our photographic collection is a panorama, done in 1922 by a panoramic photographer in Texas, you may have heard of him and you may not have, his name was E.O. GOLDBECK. He specialized in these large, Cirkut panoramic photographs. This panorama is of a bathing-girl review in Galveston, Texas in 1922 and in the picture we have some 40 ladies in their homemade swimsuits in a bathing-beauty competition on the beaches in Galveston. He lined them all up in a row and took them with a circuit camera, which panned around to include all of them and then he would sell the picture commercially, to them, or other interested people. Flash ahead from the year 1922 to the present day. This image is now over 80 years old. It has a marvelous nostalgia about it, the quaint pictures of the young ladies at the time, some of them very elderly now, but still having memories of a bathing-girl pageant they were in in Galveston, and the crowds there, and the fact that it was an event, and here it is documented in a photograph. It’s a charming image, and I think charming is a good word for it. It’s also one of our most popular images people love to buy prints of it and just hang it on their wall. It’s never been considered high art, and Goldbeck would laugh at the thought of it being high art per se. But it has significant cultural and emotional content. One day in the 1980s a gentleman came in and was doing research in the collection and found this picture and fell in love with it and ordered three copies, and we thought, “Aha, he loves the nostalgic value; he loves it for the same reason we all love it and like it so much.” But no. It turned out that he was a historian of umbrellas, and in that picture, the ladies are holding 19 different styles of parasols and umbrellas, according to this umbrella historian. Now, here’s a picture we’ve all brought our own feelings or emotional state to, but suddenly, someone sees it for an entirely different reason. They’ve brought their own experience, their own taste, their own level of emotional and intellectual experience to it. That impacts their view of it – and, perhaps most significantly, it impacts our view of it. I can’t look at that picture the same way again, because my life has changed a little bit. Maybe not culturally, socially and economically, but it’s changed. Someone has shared their knowledge, their experience with me of something that I’ve seen, and I see it a little differently now, too. In a conversation with PhotoWings and the South Carolina Historical Society, Danny Crooks tells the story of saving old 1800’s glass photographic plates from the flea market. 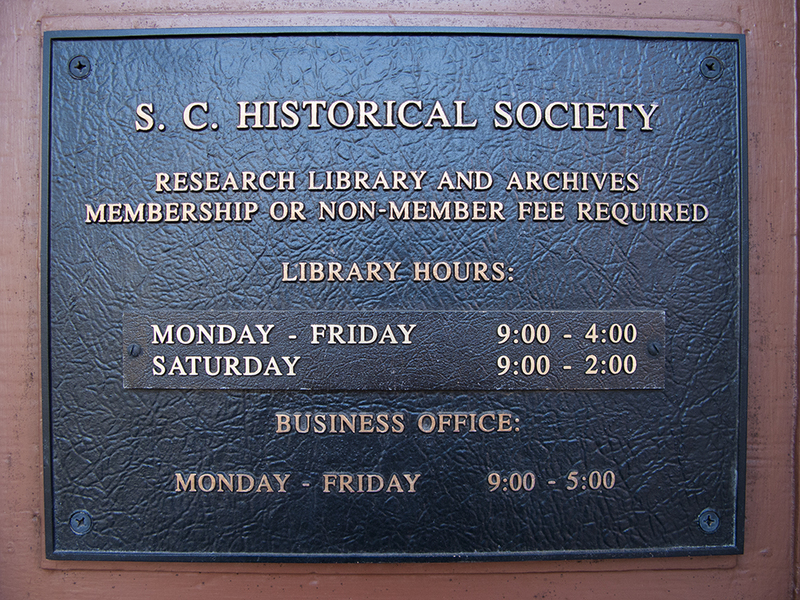 One of the historians from the South Carolina Historical Society explains why they are so unique and important. If you come upon an old archive at risk, consider how it might be saved and utilized. Old photographs can be used for a number of uses — memory, education, restoring architecture, cultural studies, as an inspirational creative tool in design, as well as visual pleasure. 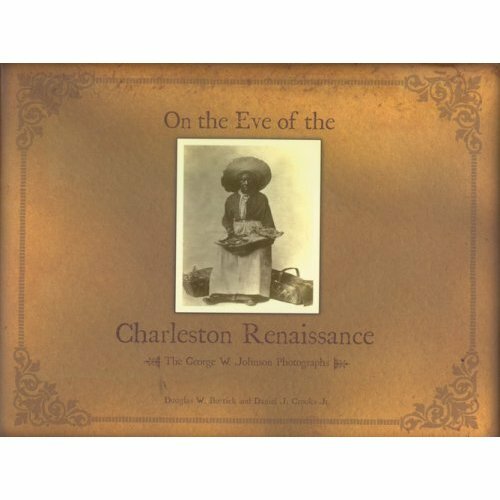 Danny Crooks signs copies of his book, "On the Eve of the Charleston Renaissance: The George W. Johnson Photographs"
In this clip, Mike Coker discusses an unexpected use of photographs in the Johnson Archive. 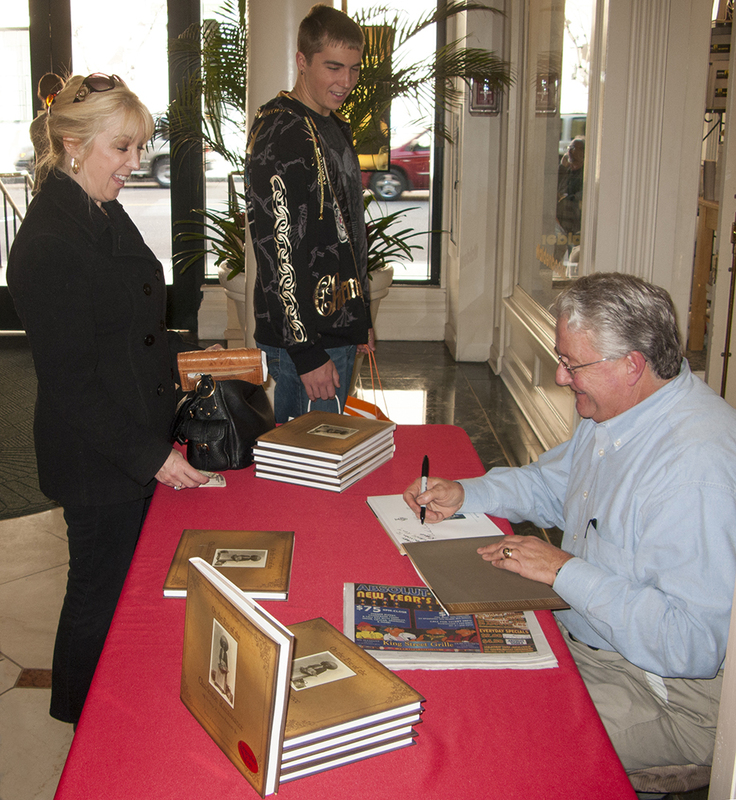 Jane Aldrich chimes in to describe the good fortune that George W. Johnson's photographs have survived as they have. Psychologist Phil Zimbardo tells a sweet and telling story of Sicilians ritually visiting the gravesites of relatives and talking to the photographic likenesses of their loved ones on the gravestones. Photographs have a power to bring people to life again in a tangible and magical manner. Memory and people’s desire to connect is a powerful force — keeping photographs of loved ones is a way to keep them alive in one’s memory. Gawain Weaver is a respected photo conservator. He shares the intentions and emotions of his clients bringing in beloved damaged photos to be restored. He also shares a concern for the longevity of today’s photographs as well as ones from the early history of photography. In many ways, digital photographs are more fragile and at risk of being lost forever than old photo albums. He also discusses how various types of photos you may encounter could deteriorate and how to prevent that in easy ways. He also discusses the importance of archiving before images are beyond hope of repair, the importance of album context, and the state of more current situations like digital photos. Gawain discusses how to make simple repairs and how to analyze potential problems. He also discusses proper storage and display of photos, and also migrating cellphone images.